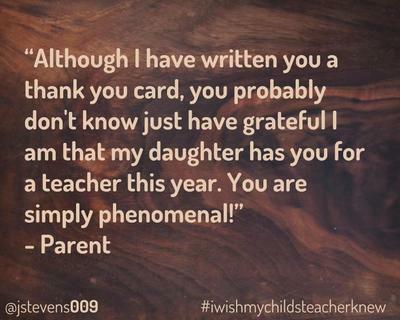 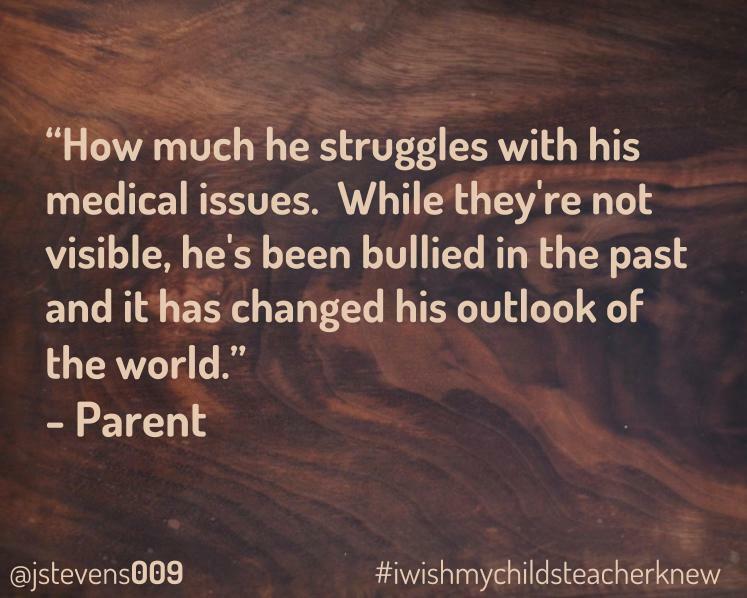 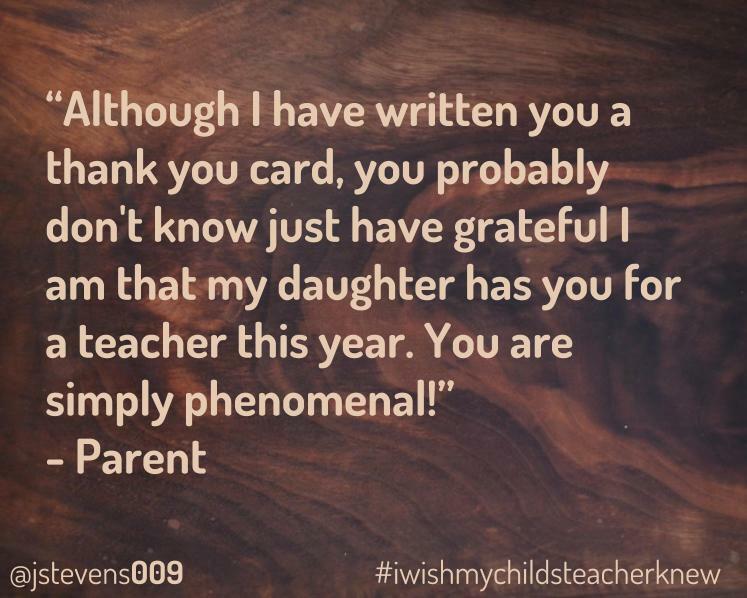 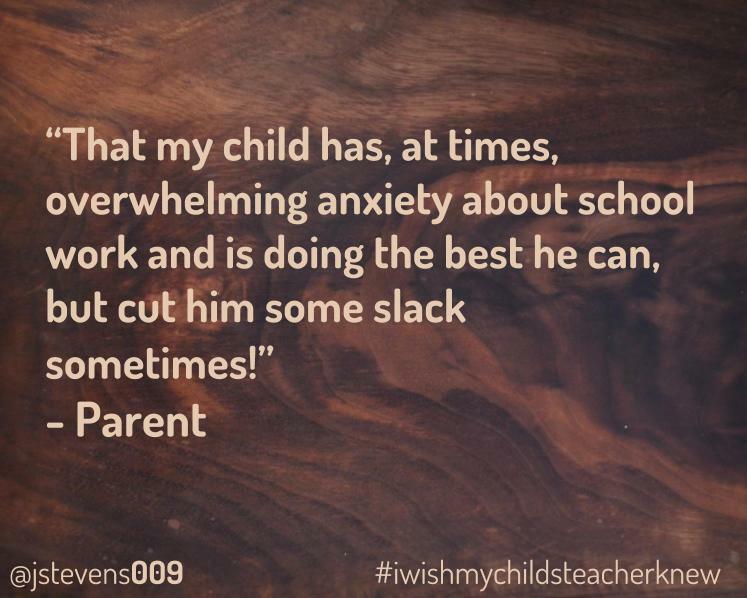 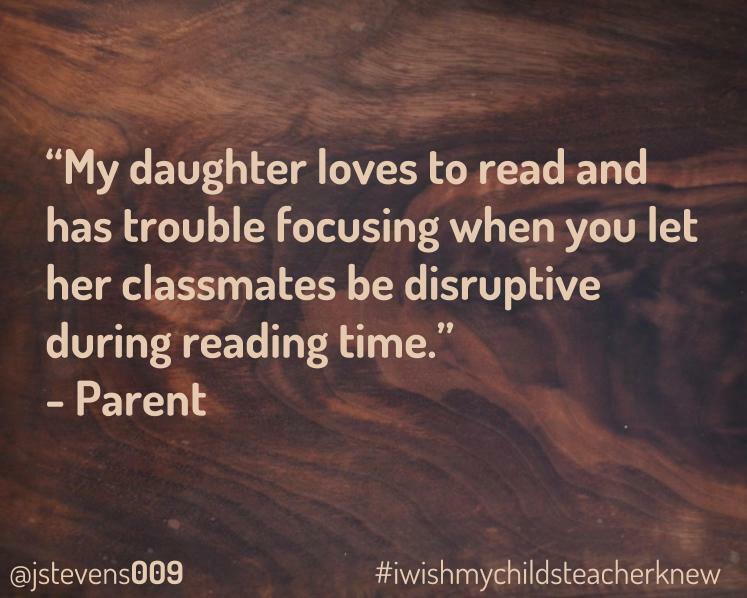 Recently, I started a hashtag project that would give parents a chance to share something that they wish their child's teacher knew. 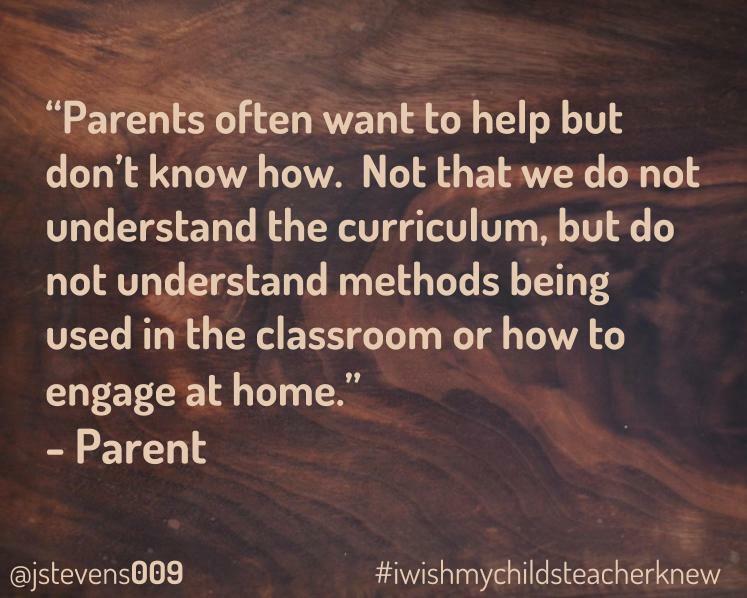 The survey continues to get responses, and so many of them are worth looking through. 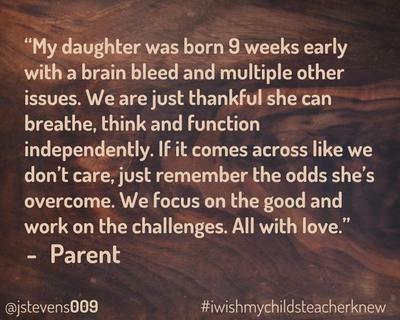 Below is a collection of everything I have collected thus far, so feel free to scroll through. 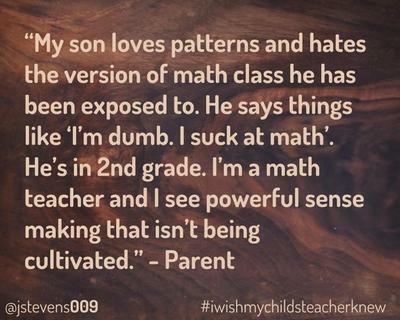 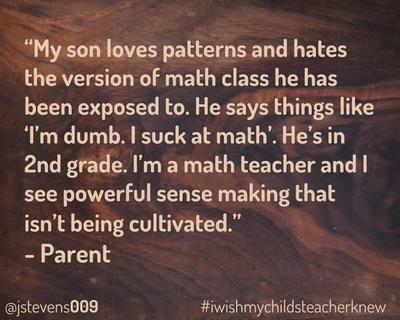 Imagine that these responses are from parents of students at your school, for your department, or in your class. 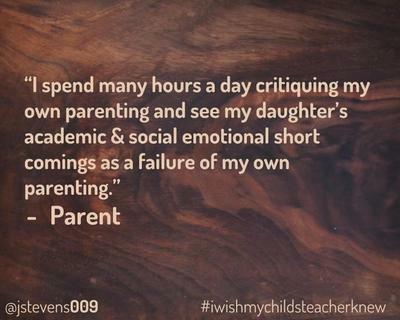 All of these are CC BY-NC, to feel free to share with whomever might benefit. 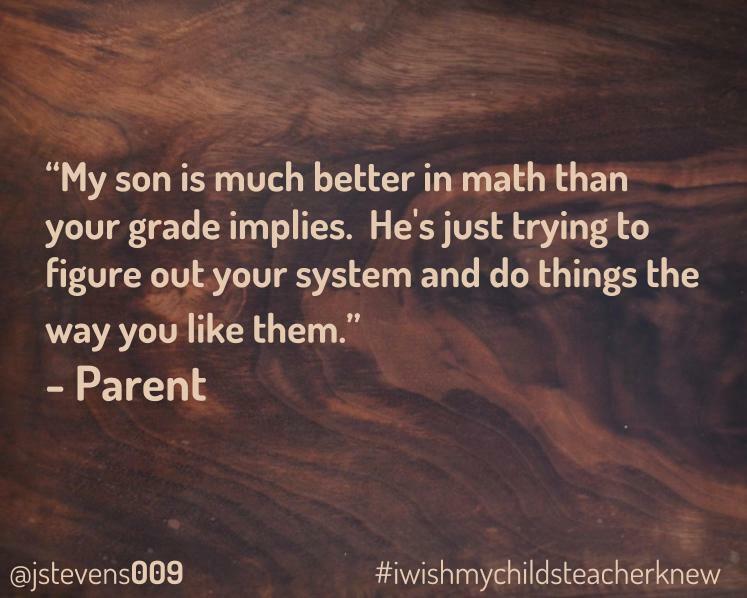 To add your voice, or to share with parents, please go to tabletalkmath.com/parentsurvey and complete the brief form. 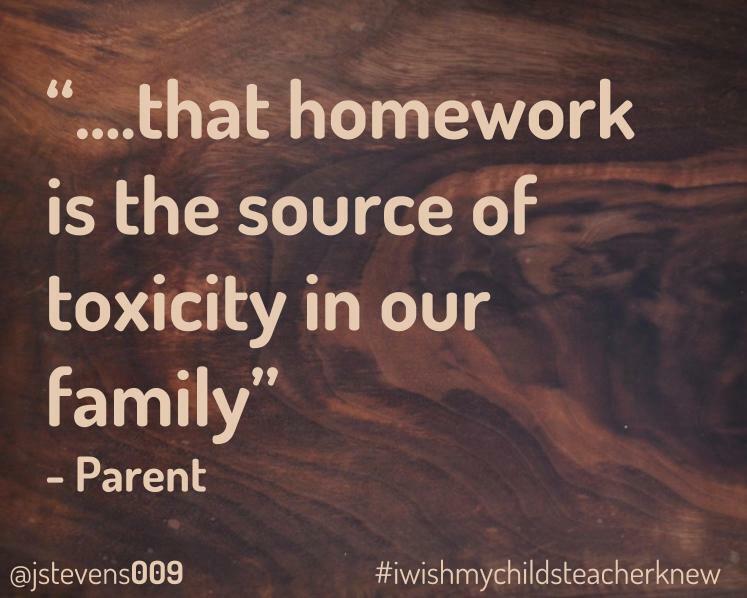 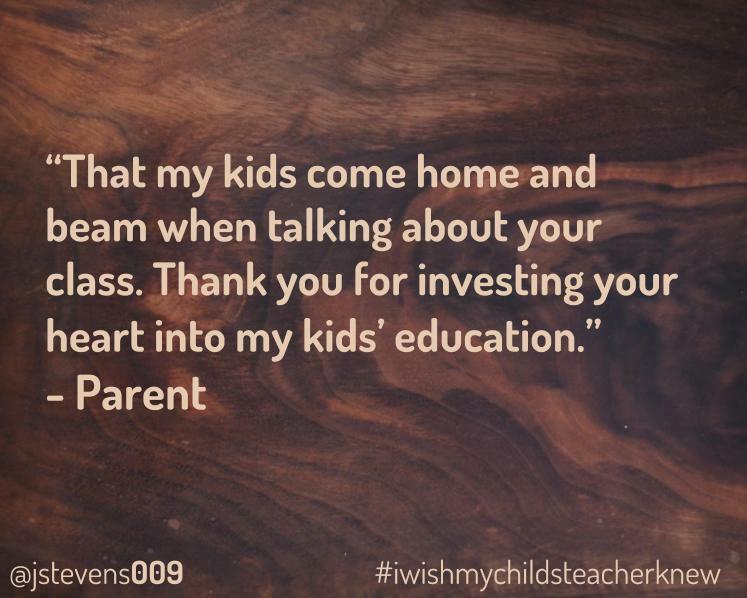 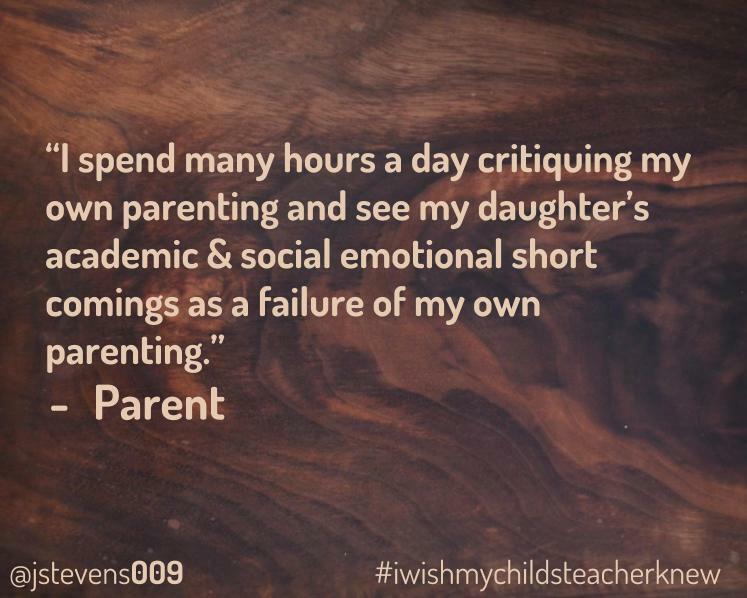 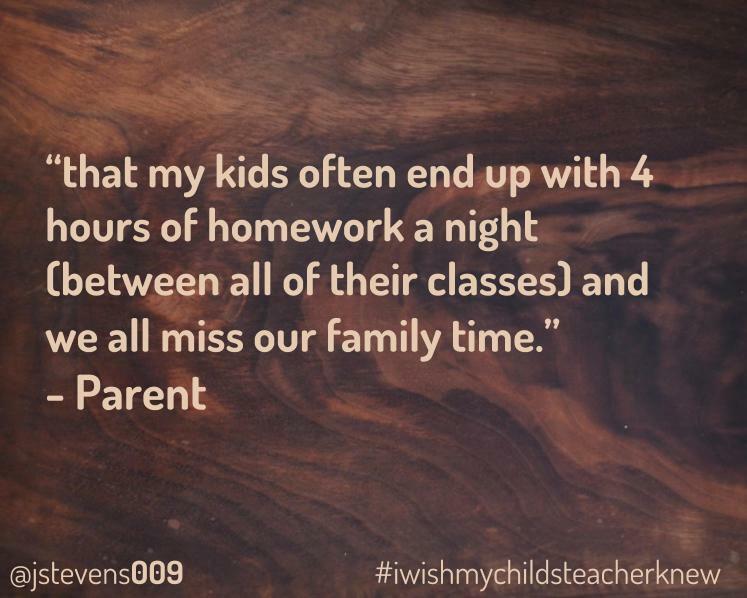 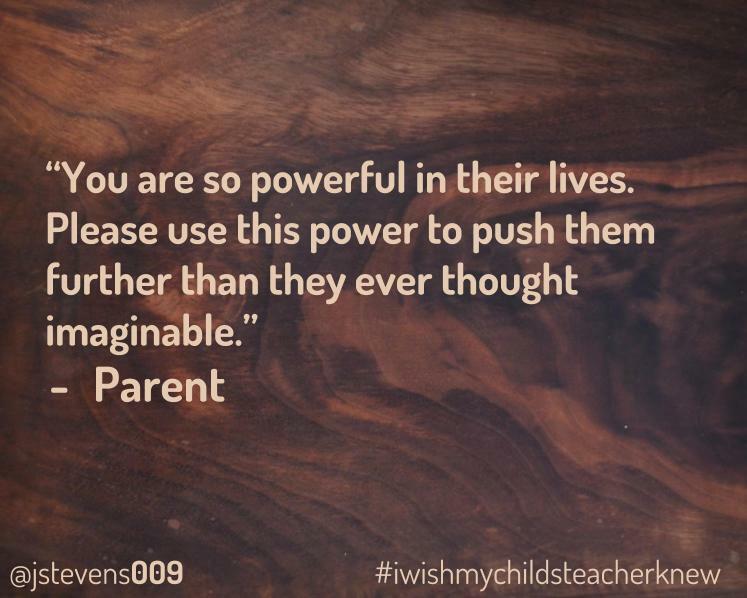 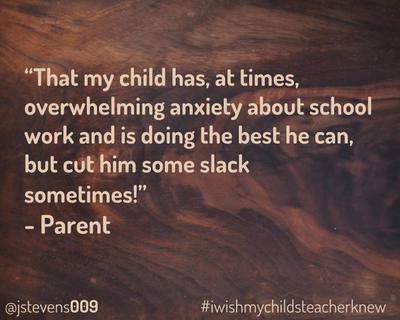 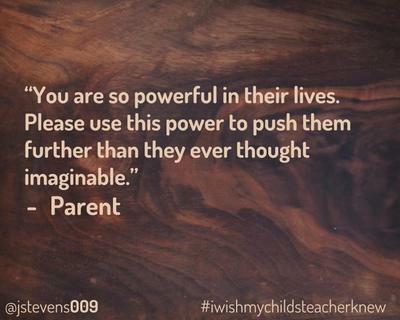 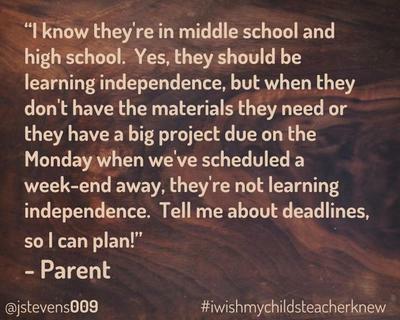 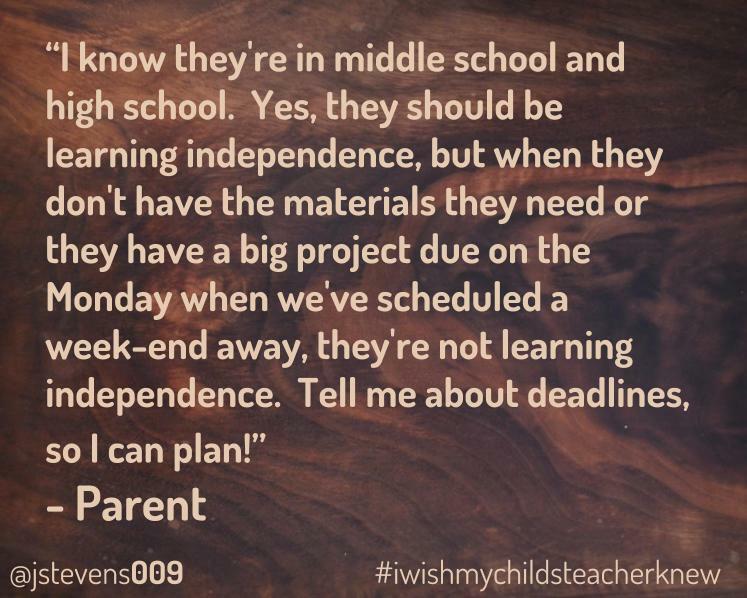 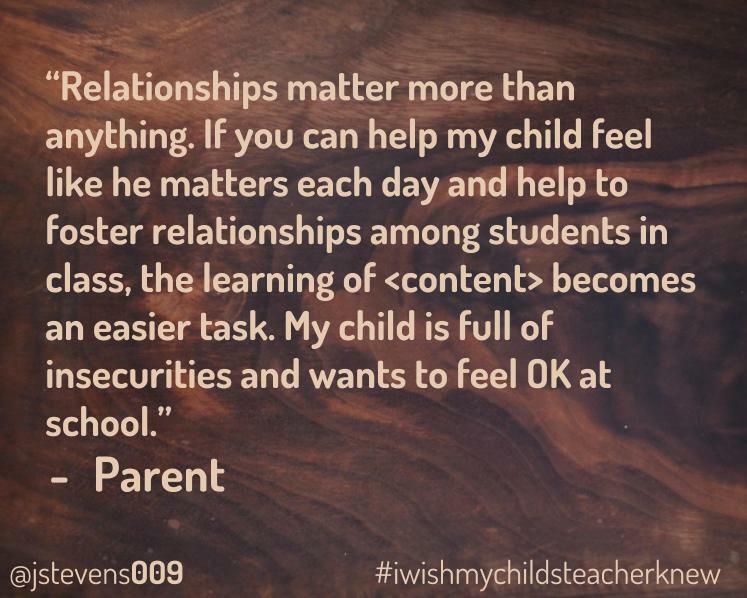 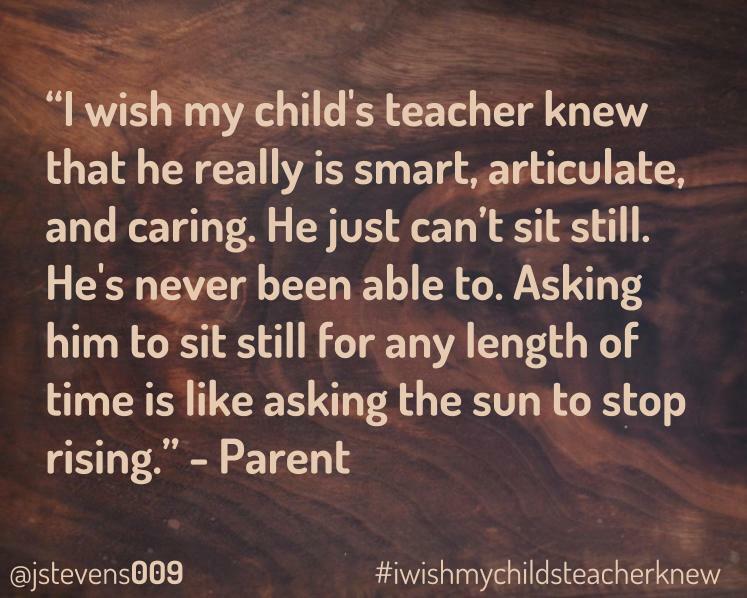 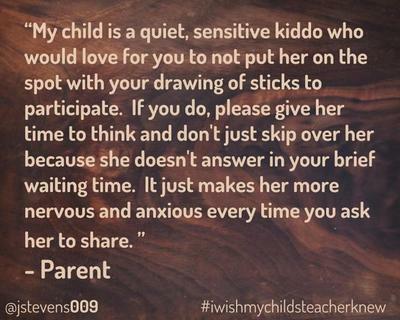 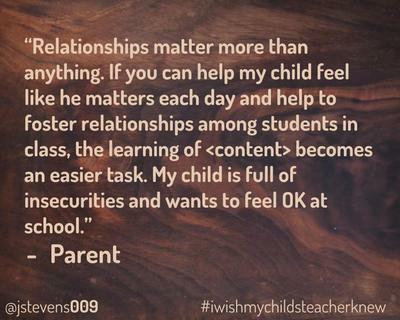 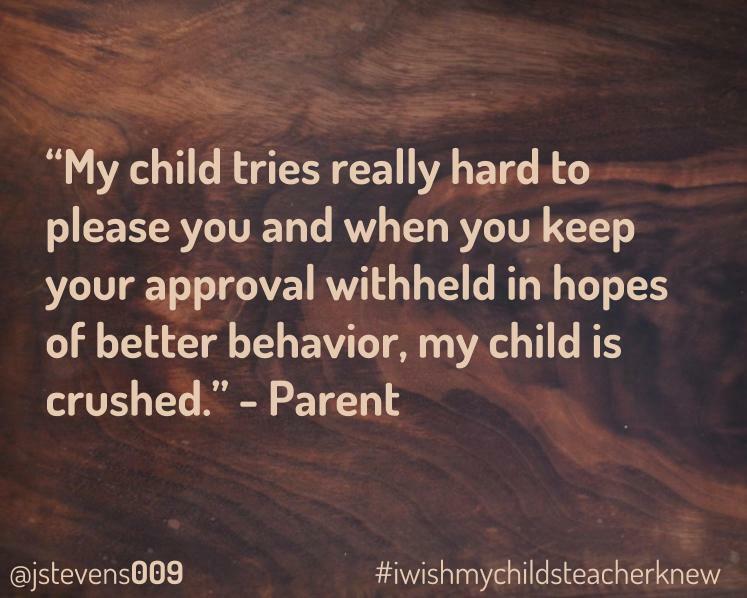 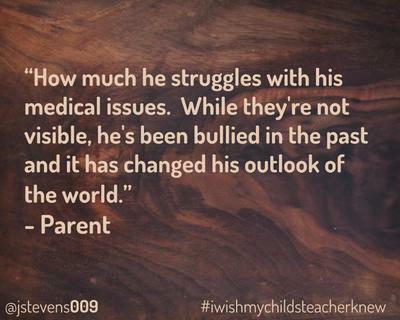 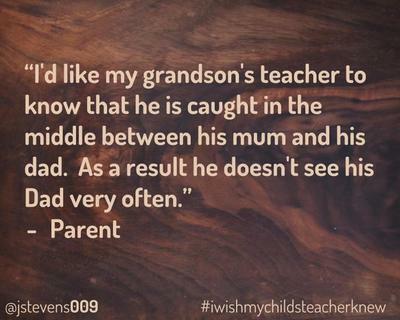 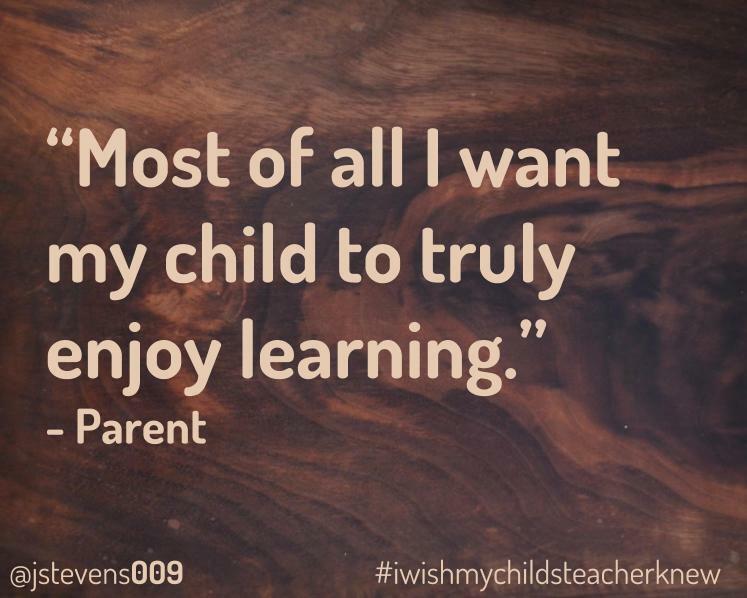 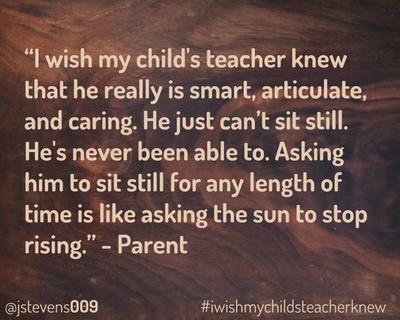 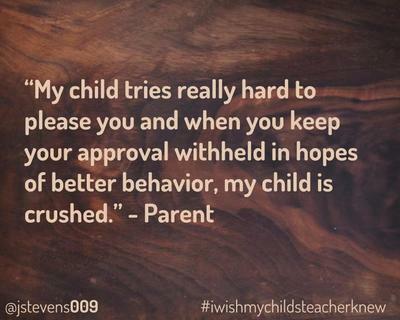 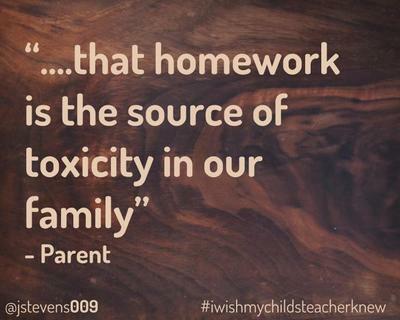 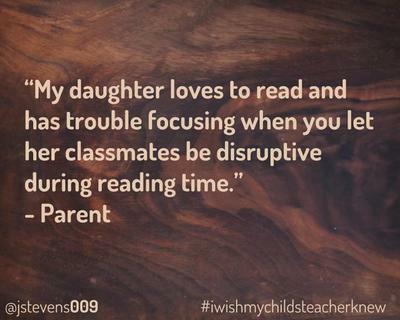 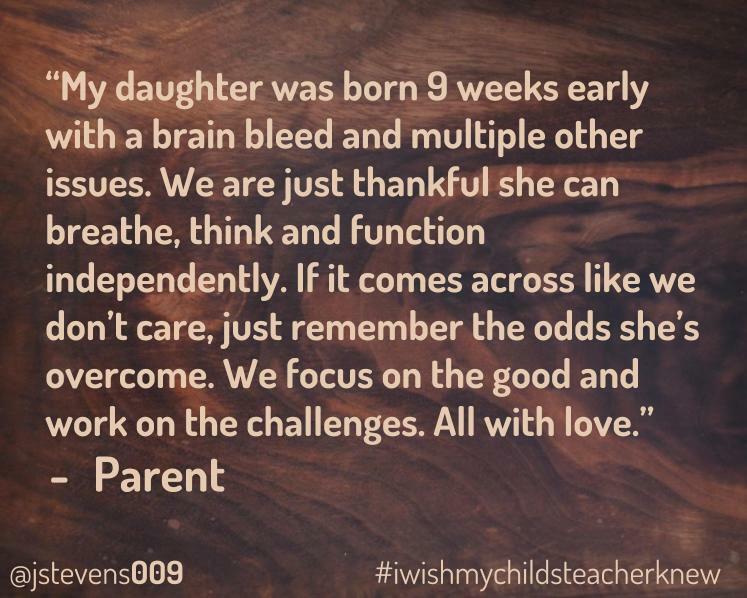 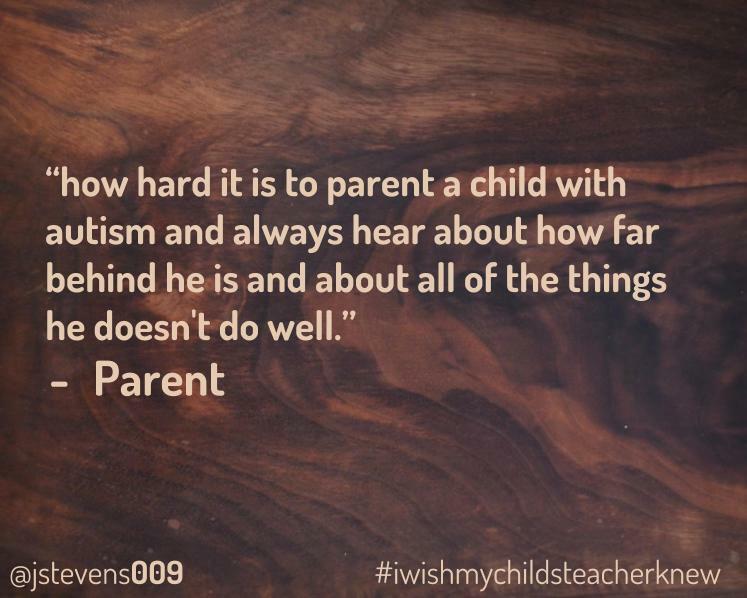 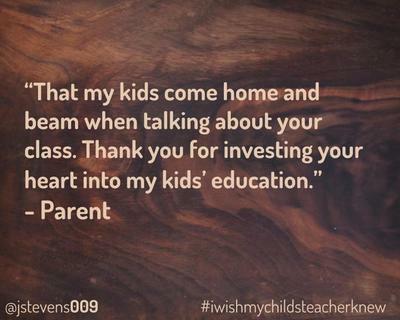 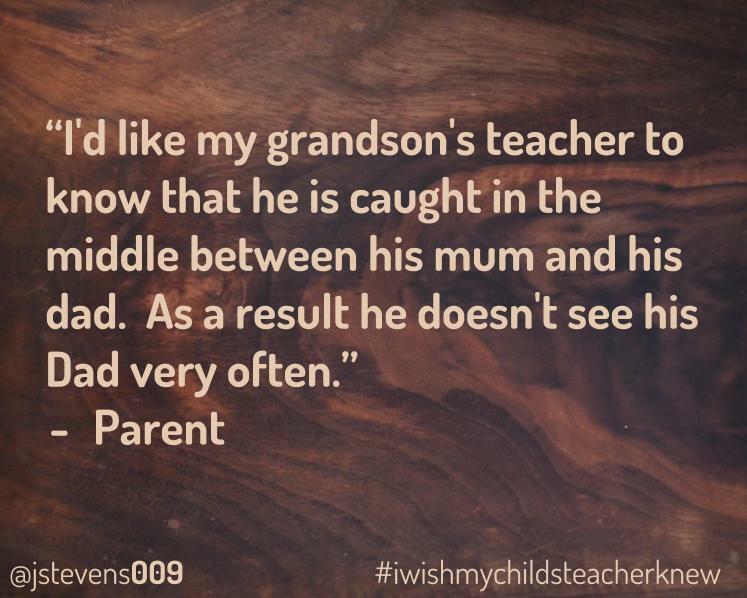 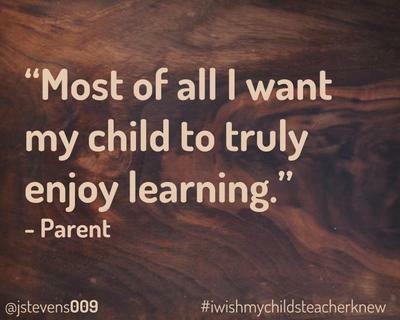 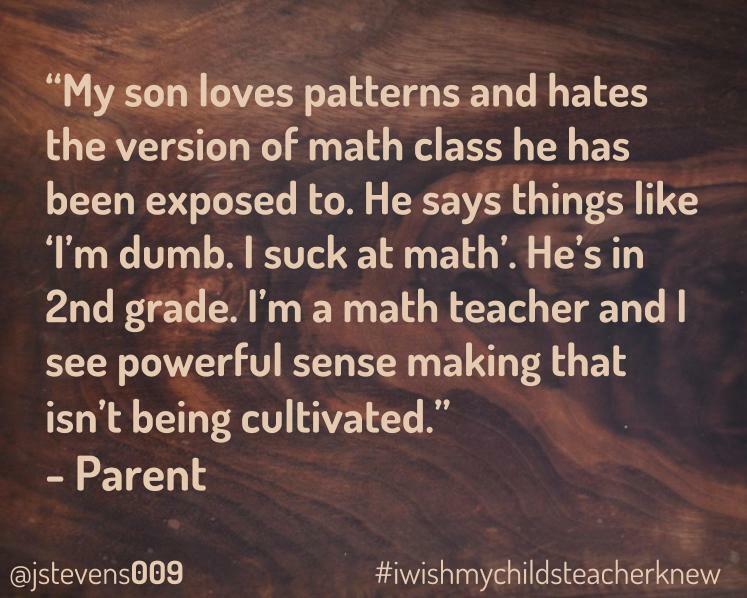 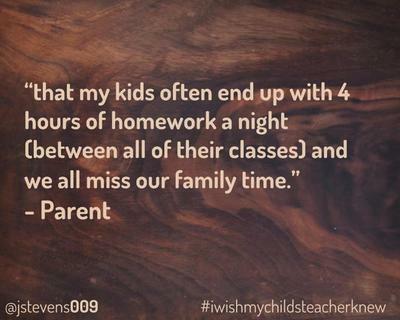 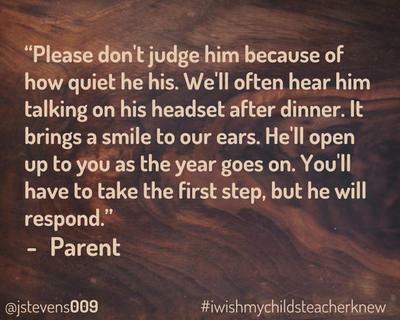 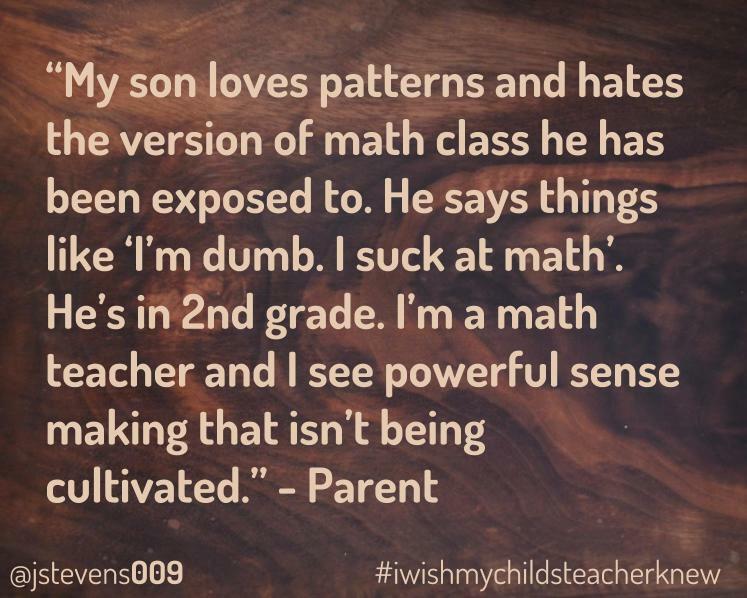 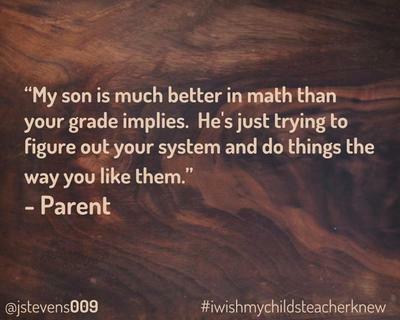 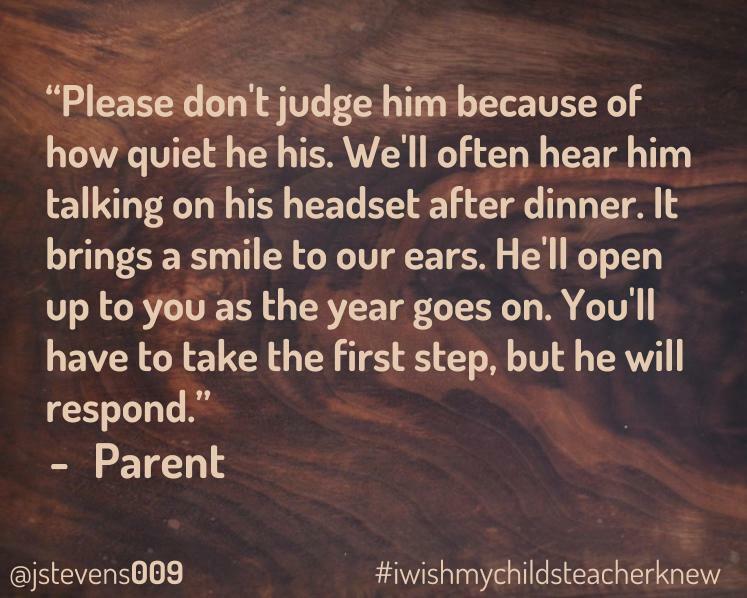 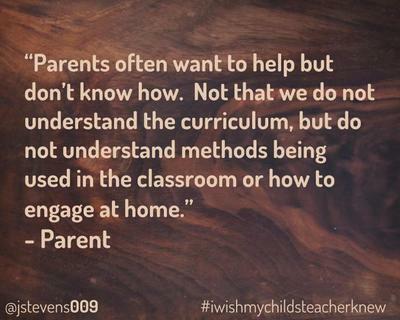 Also, check out the #iwishmychildsteacherknew tag on Twitter.